[Fig. 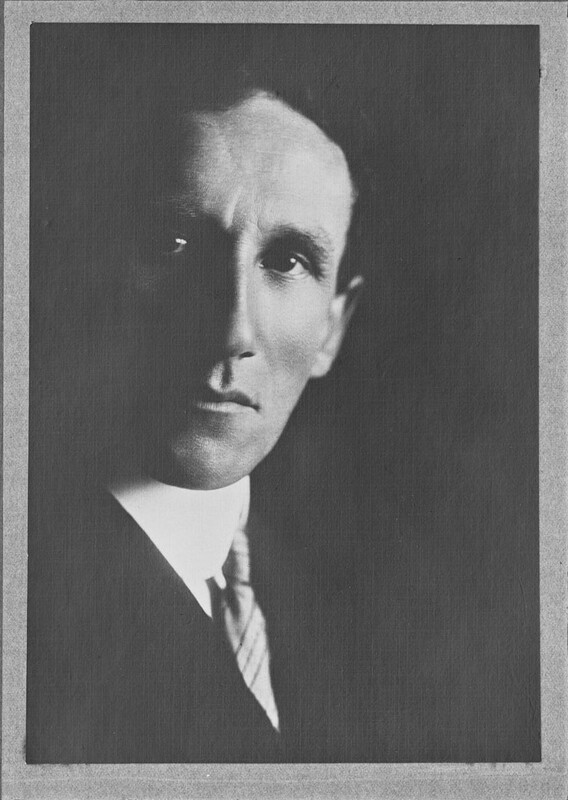 1] Premier William Arthur Holman, January 1914. From NRS 4481 ST5282P. (1) Defence Act 1903-1909 (Cth); Commonwealth of Australia Constitution Act (Cth), s. 119. (2) Australian War Memorial. Timeline: Australia in the First World War, 1914-1918, https://www.awm.gov.au/1914-1918/timeline/#2 (accessed 11 August 2015); State Archives New South Wales: Premier’s Department; NRS 12060, Letters received [9/4785] B18/1327, Directions Issued by Hon. W. M. Hughes, Prime Minister, p. 3. (3) Australian Bureau of Statistics. 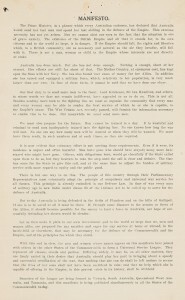 3141.0 – Population and Vital Statistics Bulletin, 1916, http://www.abs.gov.au/AUSSTATS/abs@.nsf/DetailsPage/3141.01916?OpenDocument, (accessed online 11 August 2015). (4) Burness, Peter. (n.d.). 1916: Australians in France, https://www.awm.gov.au/ww1/1916/essay/, (accessed 20 August 2015); Hogan, M, Labor Pains: Early conference and executive reports of the Labor Party in New South Wales 1912-1917, Volume III, Federation Press, 2008, pp. 368 & 370; NRS 12060 [9/4736] B16/4153. (5) ‘Against Conscription’, 11 May 1916, The Australian Worker, p. 21, http://nla.gov.au/nla.news-page16651043. (6) Hogan, p. 5; ‘A Referendum’, 30 August 1916, Evening News, p.1, http://nla.gov.au/nla.news-article120367014. (7) Hogan, p. 455; NRS 12060 [9/4705] 15/7337. (8) Hogan, pp. 452 & 458; SANSW: Eugowra Court of Petty Sessions; NRS 2981, Depositions [38/31 Case 51/1916]. (9) McQuilton, John. ‘Enlistment for the First World War in rural Australia: the case of north-eastern Victoria, 1914-1918’. 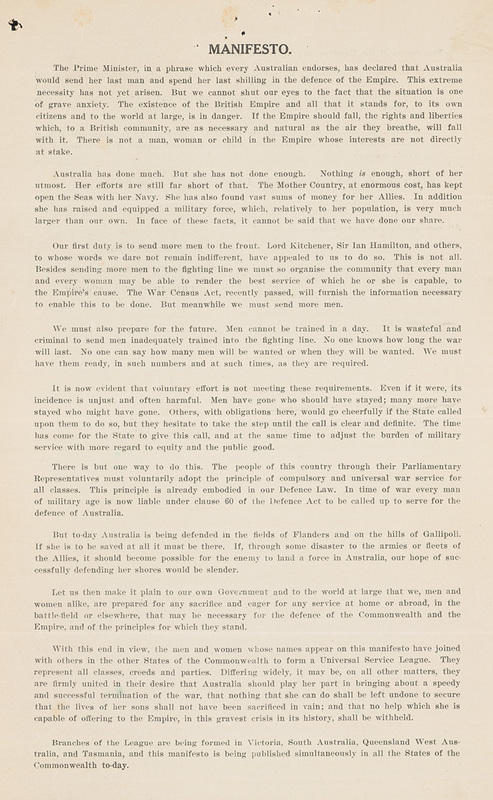 Journal of the Australian War Memorial, Issue 33, 2000, https://www.awm.gov.au/journal/j33/mcquilton/ , (accessed 14 August 2015); SANSW: Premier’s Department; NRS 12061, Letters received – Special Bundles [4/4261] 15/22568. (11) Commonwealth of Australia. House of Representatives. (14 September 1916). Parliamentary Debates (Official Hansard) – Military Service Referendum Bill – Second Reading – Mathews, James, http://parlinfo.aph.gov.au/parlInfo/genpdf/hansard80/hansardr80/1916-09-14/0133/hansard_frag.pdf;fileType=application%2Fpdf, (accessed 11 August 2015); Direct Action, No. 11, August 10, 1914, http://www.jura.org.au/files/jura/DirectAction-No11-10Aug1914_0.pdf ,(accessed 11 August, 2015).